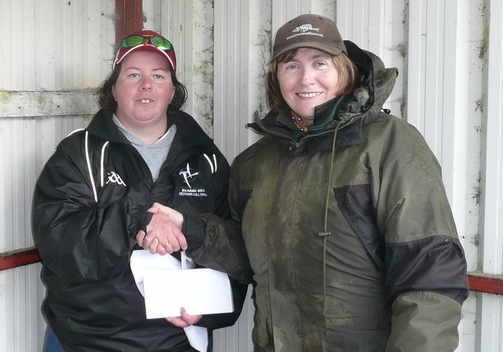 7 women enjoyed a lovely day's fishing on Lake O'Flynn - some travelling long distances from Counties Cork, Antrim, Kildare and Clare. (Satnavs do have their uses). 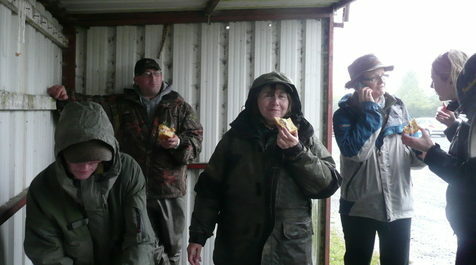 The weather wasn't kind - but it was a great fishing day with all women catching trout. Many thanks to O'Flynn Anglers and boatmen Joe, Michael, Paul and Chris for their very warm welcome and help during the day. 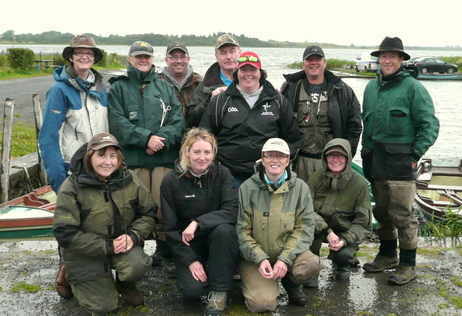 Lake O'Flynn is a beautifully clear limestone lake near Castlerea,of about 300 acres with great feeding for the trout. Plenty of other trout were risen, hooked or lost on the day and even a few perch and pike came to the fly. 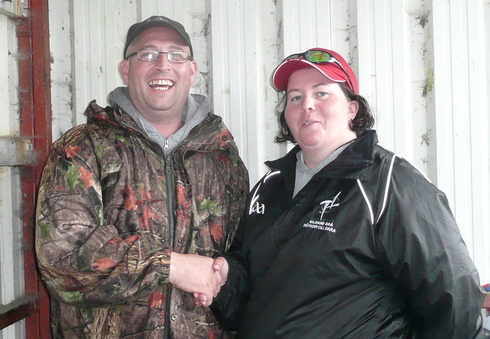 Top boatman was Chris Connaughton who boated Maddy and Julie - his boat had 13 fish to the net. All fish were returned safely to the water after measuring.